After serving in World War II, Elmer co-founded Tasker’s Well Company in 1947. 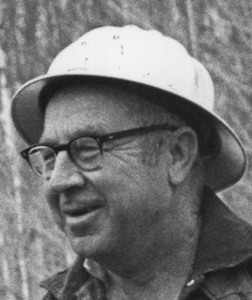 While Edith, his late wife, raised their children and kept the company books, Elmer expanded his company and became an icon in the well drilling industry. Elmer witnessed the old cable tool ‘pounders’ evolve into today’s high-tech rotary drill rigs. Many of the workers he trained over the years went on to establish their own companies.